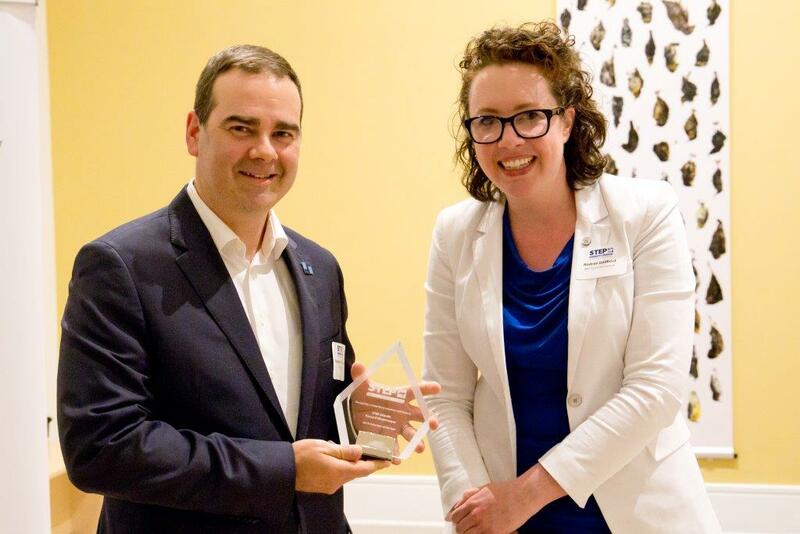 At the annual branch meeting of the Society of Trust and Estate Practitioners (“STEP”) Atlantic, Halifax partner Richard Niedermayer, TEP, was given the Volunteer of the Year award by branch chair Andrée Godbout (pictured below). Created in 2015, this recognition is given each year to one individual per STEP branch, to celebrate their work to advance STEP’s activities in and on behalf of that branch. STEP’s mission is to help families plan their assets across generations by promoting high professional standards, educating professionals, connecting advisors and families globally and informing public policy. Richard has an extensive volunteer history with local and national organizations, from STEP Atlantic, to the Canadian Bar Association. He is currently a director at large on the STEP Canada board of directors. In addition to his various board roles, Richard is an active speaker at seminars and conferences across Canada, as well as a frequent contributor to such publications as Atlantic Business Magazine and Canadian Lawyer. Photo courtesy of John Rae.